The Heraklion Archaeological Museum is one of the most important museums in Greece, with an enormous archaeological collection,and one of the most important in Europe. The Heraklion Archaeological Museum is one of the most important museums in Greece, with an enormous archaeological collection,and one of the most important in Europe. The exibits include representative samples from all periods of Cretan prehistory and history, covering approximately 5,500 years, from the Neolithic period to the Roman times. Dominant position in the collections held by the unique masterpieces of Minoan art, which the visitor can admire throughout the range. The collection of the Minoan antiquities is the most important and thus the museum fair is considered the most important museum of the Minoan civilization. The building, which houses, is located in the center of the city and was constructed between the years 1937 and 1940, projects the architect Κarantinou Patroclus. In the same position during the occupation was the Catholic Franciscan monastery, which was destroyed by an earthquake in 1856. The building is two storey and has extensive exhibition halls, laboratories, drawing board, library, offices and a great part, the Scientific collection, where they are kept, maintained and studied many of the findings. 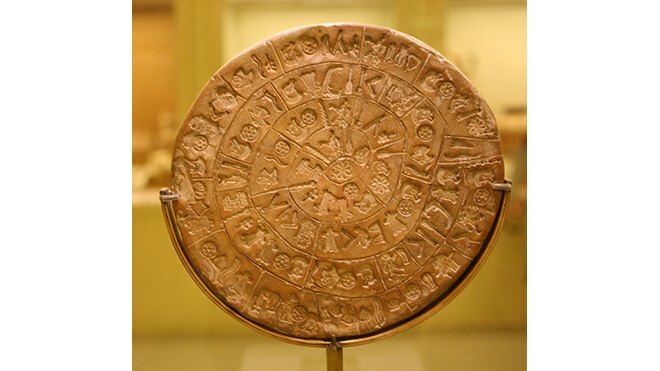 The first archaeological collection in Heraklion in 1883, on the initiative of Filekpeudeutikou Club Heraklion, who chaired the doctor Iosif Hatzidakis, managed to secure the authorization of the Ottoman government for the establishment of the first “archaeological service”. The collection accommodated in two rooms in the courtyard of the metropolis of St. Minas and until 1900 was further enriched by donations. In 1900, with the entry of large excavations on the island, included the first major findings. Then relocated in part of the building of the barracks, the current Region Heraklion. The 1904-1907 was constructed the first museum games, at the place where it was the ruins of nominal venetian Monastery of San Francesco, next to Χουνκιάρ Mosque, while in 1908, after adding a second room, transferred there the antiquities. In 1912, this small building took the form of classical building with the addition of the west wing, in projects of architect W. Doerpfeld and the Secretary of the Archaeological Society Athens, Panagi Κabatia. The building of the current building, in projects of architect Patroclus Καrantinou, began in 1937 but the start of World War II has a big risk the collections and the valuable content of the museum, which was rescued thanks to the efforts of Professor N.Plato. 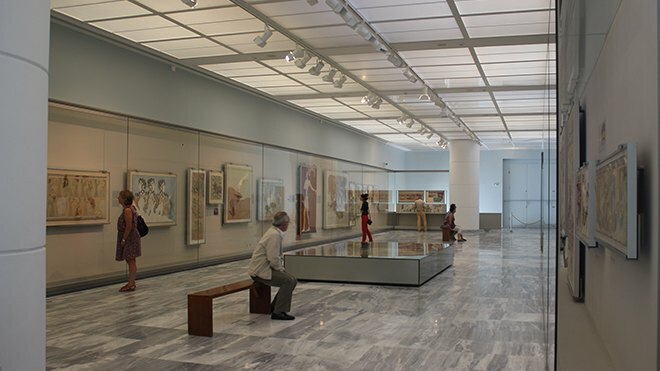 In 1962, the museum acquired the collection of Cretan doctor Stilianou Giamalaki, which stated in the chamber floor. In 1964 he surrendered to use the new wing of the museum and the exhibition of antiquities was completed by then managing director, Stiliano Alexiou. In 2000 the Museum of Heraklion was further enriched by the collection of the Nikos Metaxa, part of which will be exposed soon. The permanent collections of Archaeological Museum Heraklion include unique masterpieces of Cretan Art, found in excavations in particular in central and eastern part of the island and cover story about 5,500 years, from the Neolithic (5000 BC) until the late Roman period (end of the 4th century A.D. ). Most dating back to prehistoric times, in Minoan times, named after the mythical king of the island, Minos, and projects include pottery, stone carving workshop, signet, sculpture, machining and monumental paintings, from palaces, mansions, settlements, funerary monuments, shrines and caves. The exhibits of the Mycenae Archaeological Museum come from Mycenae and the spots that have been investigated in the surrounding areas and are accompanied by explanatory material, such as information, identification tabs of the exhibits, maps, drawings and recreations.